VideoPad video editor has integrated VirtualDub plugin support, giving you access to additional tools and effects that are available from third party sources. 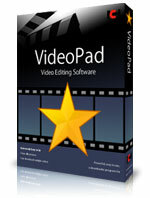 This page includes instructions for installing VirtualDub plugins into VideoPad, as well as a resources list for locating plugins to download. Download the VirtualDub effects you want to add to VideoPad. When you download these effects, you will need to specify a location on your computer to save them. We recommend creating a folder called "VirtualDub" to save all your VirtualDub effects in. Once you have downloaded and saved your VirtualDub plugins, open a video project in VideoPad. Click the Effects button on the Home tab, and from the effects drop-menu at the top, select Load/Unload VirtualDub Plugins. This will open the Video Effect Plugins window. Click the Load File(s) button and browse to your saved VirtualDub effects. Select the effects (look for .vdf format) and click Open. Click OK to close the Video Effects Plugins window. Your new plugins will be added to the drop-menu in the Video Effects window. Select the effect to open it and click the Configure Plugin button view/adjust its parameters. You can edit the effect any time after it has been applied by clicking this same button from the Applied Effects list for the selected clip. Here is a list of sites featuring downloads for VirtualDub plugins, and links to a sampling of filters from those sites. Description: This filter is designed for painting, drawing and animated cartoon rendering. The MSU Cartoonizer filter has many parameters, which produces very interesting results. This is the first filter developed by Graphics & Media Lab referring to the non-photorealistic rendering area. Description: This filter is intended to achieve an "old cinema" effect, similar to the Old Film effect already available in VideoPad, but this plugin gives you more control over the parameters. You can vary color, the correction algorithm, and add various artifacts so the video looks like a "chronicle." The filter includes several color correction types, vertical stripes, small and large noise, and an emulsion exfoliation effect. Description: This filter allows you to enhance image sharpness with minimum noise amplification. Keep in mind that in order to achieve the best video quality, you need to save video as a file. The quality of the preview video in VideoPad may not be enough to view the finished quality of the applied filter.